Bring baby to the table for family meals and fun time. 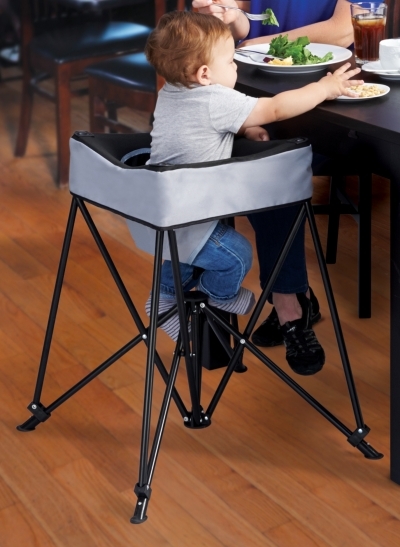 Light weight 5 pounds sporting a fold and go design, the DinePod is a must have for parents. Use indoors or outdoors, at home and on the go! This is an awesome pack and go! Great for parents that like to discover nature! Lightweight and easy to use for feedings on the go. Great to take to Restaurants !! Comfortable.